Sen. John Thune (R-S.D.) slammed the Federal Communications Commission for its “unacceptable failure” to expand rural broadband service and close America’s rural-urban digital divide. Thune’s comments were directed to FCC Chairman Ajit Pai, appearing Thursday before the Senate Commerce Committee the South Dakota Republican chairs. Thune complained rural broadband expansion has slowed in his rural state, something he blamed on the FCC’s “inaction.” Thune criticized the FCC’s cuts to the Universal Service Fund, implemented as part of an effort to reduce the FCC’s budget. Thune claims the FCC’s cuts have increased by almost 25%, and there has been no study undertaken to determine the impact those cuts have on rural broadband expansion. 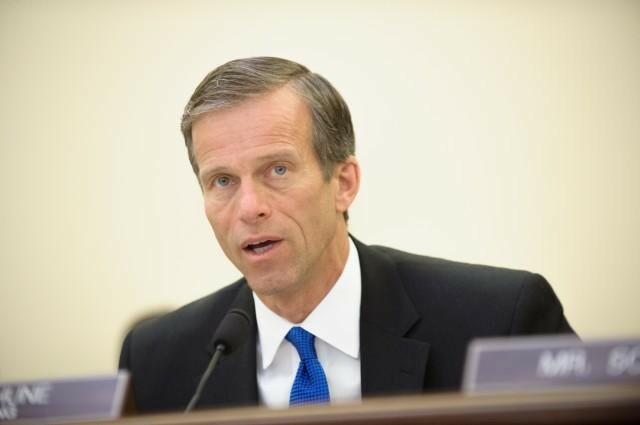 “Rural Americans should never be left behind their urban counterparts,” Thune added. Pai defended the FCC’s actions under the Trump Administration, claiming the Commission is allocating nearly $6 billion for Connect America Fund subsidies and additional money for rural wireless projects. Pai claimed the FCC is providing $340 million to bring 4G LTE service to tribal lands, with additional funds available when those rural broadband subsidies are exhausted. Most of the money is being paid to subsidize for-profit companies. Pai also claimed his broadband policy reforms, such as repealing net neutrality and other deregulation will stimulate new private investment independent of the Commission. To help that expansion, Pai suggested the recently proposed rules to streamline new cell tower approvals and ease up on historic preservation and environmental reviews will speed rural rollouts. But both Sen. Thune and Chairman Pai have steadfastly opposed municipal and public broadband expansion projects designed to close the rural broadband gap in areas where for-profit ISPs have refused to serve without subsidies.